Find the top eSports bookies and place bets on your favorite games. With so many bookmakers offering eSports betting today, it is easy to make a mistake and bet with the wrong bookmakers, get poor odds or miss your favorite game competition. This is why we started eSportsBettingReviews, a site dedicated to reviewing and analyzing eSports betting bookmakers, in order to help you find the absolute best places to bet on eSports. 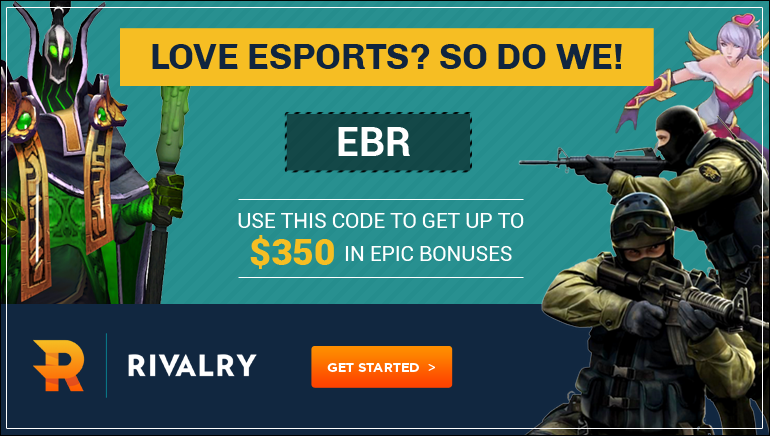 eSportsBettingReviews was started by a group of eSports aficionados who recognized that picking the right eSports bookmaker among so many was not an easy task! Our reviews analyze every aspect of eSports bookmakers, from game selection and markets to welcome bonuses, promotions, banking and customer supports. It is our aim to rate the bookmakers based on these elements and give you a clear picture of the strong and weak sides of each and every eSports betting site. Stay tuned and keep updated on all the latest developments in the world of eSports betting right here at eSportsBettingReviews. Our reviews are up to date and you can be sure that every major change in the eSports betting industry will be reflected as soon as it happens, making eSportBettingReviews the best place to stay in the know!